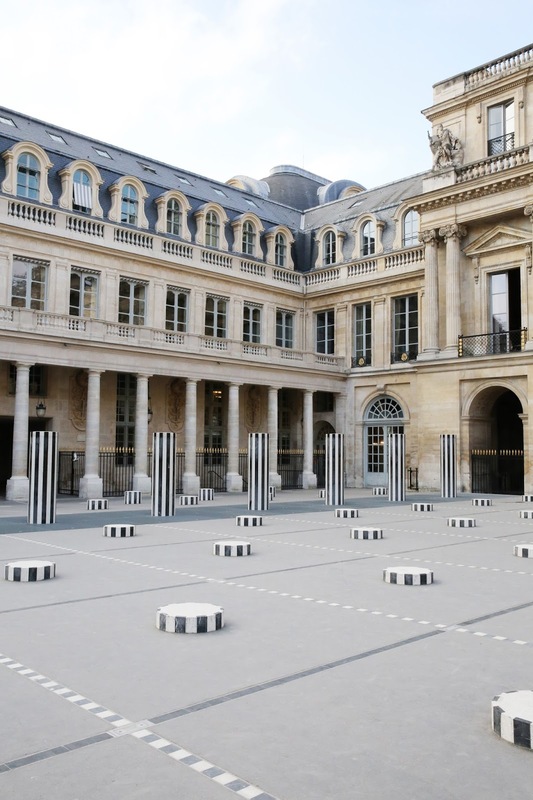 One of the best places that I visited during my recent Paris trip is the Palais Royal. 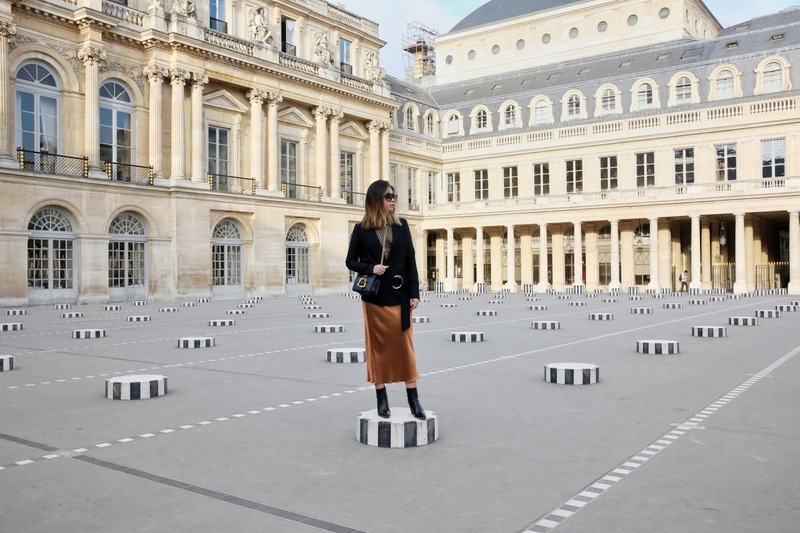 How unreal it feels to have the famous Palais Royal all to yourself, I guess it was clearly a wise decision to get there early in the morning and avoid all the tourist crowd, right? Unexpectedly (or intentionally..) to blend in with the architecture with a warm tone luxe satin skirt from Helmut Lang, fishnets layering underneath the coolest ring blazer from Topshop and the perfect balance of luxe accessories, all you need now is a hot croissant and a coffee from Café Kitsuné down the alley..